If your house is the go-to hangout spot for the whole neighborhood, you need to have comfy chairs for your buddies to crash in. 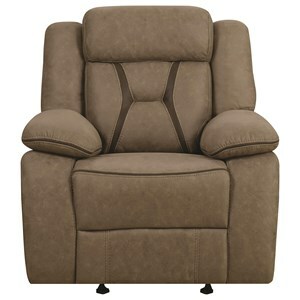 This collection of recliners is laid-back, casual, and sporty, making it a must-have for the great room or man cave. 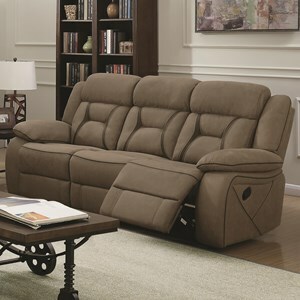 To create an awesome TV-watching space, we've included a matching reclining loveseat with built-in cupholders. 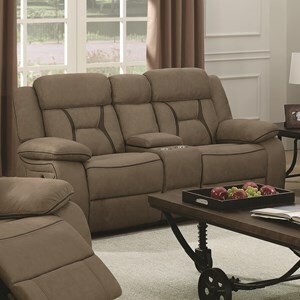 The upholstery has the durability and feel of leather, but its actually a cleanable microfiber with a protective topcoat, making clean up a breeze. 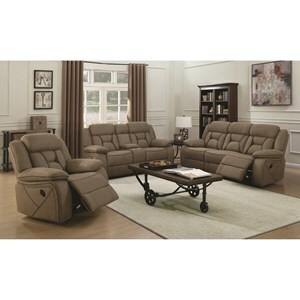 Browse other items in the Houston collection from Value City Furniture in the New Jersey, NJ, Staten Island, Hoboken area.